Canadian fashion giant Joe Fresh and Canada’s favorite fashion publication FLARE have teamed up yet again for another capsule collection of trendy, seasonal pieces. A cargo anorak, distressed denim, and a perfect pair of mules all borrowed inspiration from the runway, but at ultra-affordable prices. FLARE and Joe Fresh also tapped some of Canada’s top bloggers to announce the collection, including Ania Boniecka and Sonya Esman of Class is Internal, on the May cover of the Magazine. The five multi-hyphenates who are on the cover are all Canadian bred superstars of Youtube, Instagram, and the blogging world. Sonya Esman – Victoria’s Secret just named Sonya the Sexiest Instagram Star out there – and they’re right! The Russian born fashion blogger has one of the biggest followings out there – coming in at 1.4 Million! Check out her Instagram here. 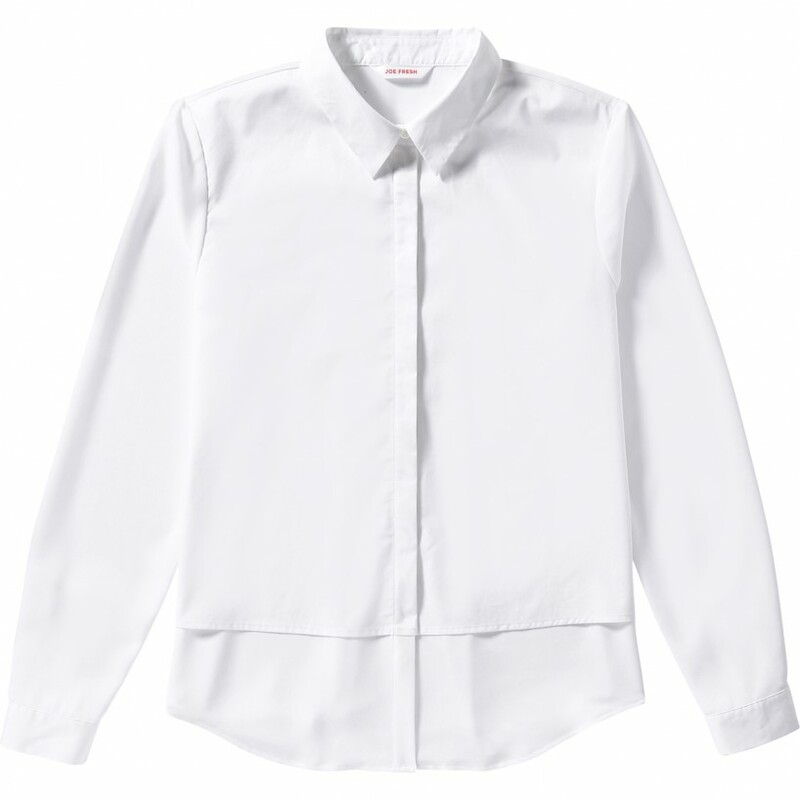 I love this simple alternative on a white dress shirt – the mixed layers is such a cute and quirky touch! Hey Buddy!, I found this information for you: "#JoeFreshxFLARE". Here is the website link: http://shesinfluential.com/2016/03/31/joefreshxflare/. Thank you.